The stylish, chic & curated event company for the client with impeccable taste, style and a high attention to detail. 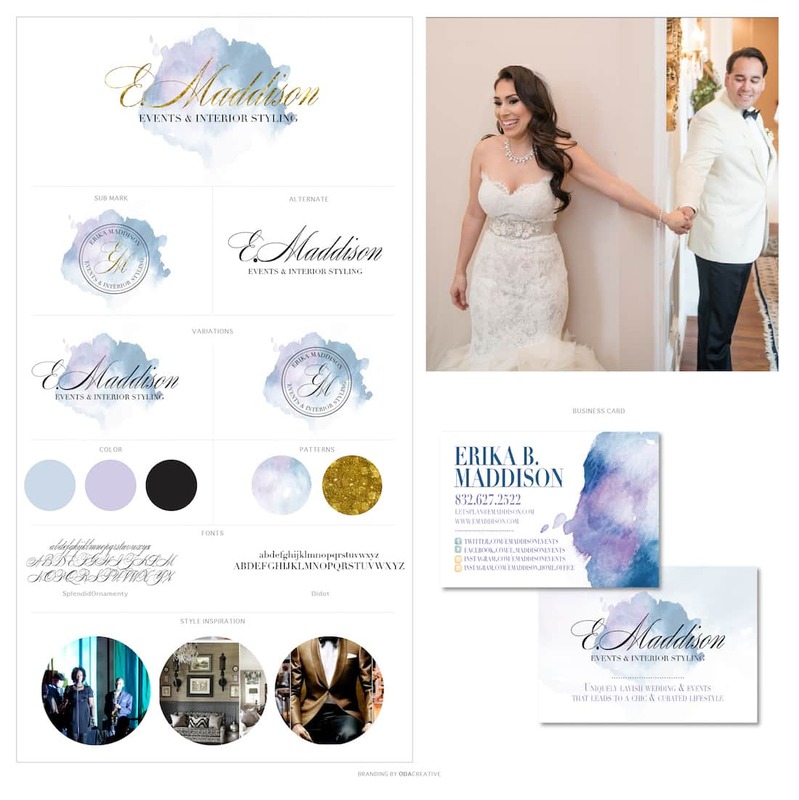 Along with her staff of fabulous event coordinators, Erika will give you peace of mind that your “Big Day” is in very talented and capable hands. Erika wanted to merge her three businesses together under one umbrella. She wanted the brand to be very chic and soft in nature. We achieved this through a signature logo with a watercolor backdrop. We had fun exploring the best font for the signature and ended with one she was happy with that conveyed the luxe tone of her upgraded brand. Her non-standard business cards also were designed to carry the water color feel even when the logo isn’t present. We are putting the final edits on her website and will update this page once it’s ready. Stay tuned!